Greater Anglia are holding the first cycle forum of the new franchise. Do you have any views on what cycling provision should be available on the new rolling stock due to be introduced in the next few years? 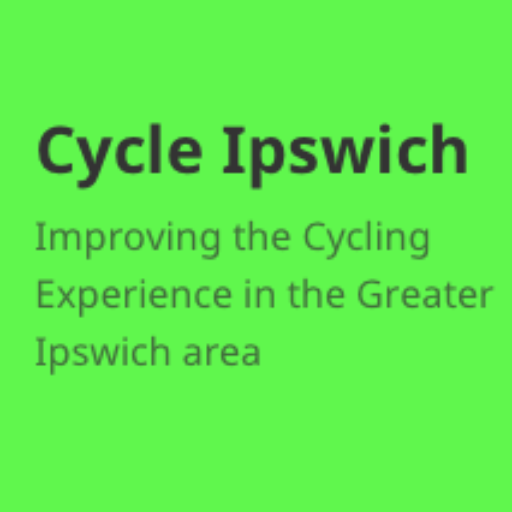 If you have any comments or issues regarding bikes at train stations, or bikes on trains, please let Shaun McDonald know by emailing info@cycleipswich.org.uk, commenting below, or by contacting Shaun directly. Cycle space on the Ipswich to Cambridge and Peterborough services is both inconvenient and insufficient. Norwich to London space is excellent but heaving bikes in is a problem for less robust cyclists. My main issue is the lack of level access to the Ipswich-bound platform at Needham Market. That is outrageous, preventing wheelchair users from using the train and difficult for cyclists. Sorry for the delay in responding, it’s taken an additional meeting to a full explanation to your questions. The new trains from from 2019-2020 will have 6 spaces each and more space than the current trains, with the exception of the intercity trains which won’t have a guards van and will be the same number of spaces as is currently allowed. The new trains will have a much lower floor, which will make it much easier to get on. On some stations it could even be a small step down into the train from the platform. Regarding the southbound platform at Needham Market there are multiple issue. First where to physically put the level access as the area just beyond the platform is not leased by Greater Anglia, and the land is an Local Nature Reserve, so will be hard to develop as extra station footprint is likely needed. Secondly there is the funding. Making stations accessible has in the past come from the access for all funding, and the prioritisation is based on a combination of station footfall (which is relatively low for Needham Market), and the proximity to other stations which are accessible, however there is Stowmarket station a few miles up the road which is accessible with more services and much higher footfall. So to get the accessibility improved, increased usage is required, a funding source needs to be found, and a design, which doesn’t expand on the station footprint, or agreement to be able to expand the station footprint. Proposals to “amend” i.e. remove St Margaret’s Green from Air Quality monitoring area!